How do you decide if a web host is best for your WordPress website? Which type of hosting service should you get? What kind of subscription will be the most suitable for your website? All these and more are questions that normally get most people confused in the beginning. Let’s face it, choosing the best WordPress hosting service for your website is not as easy as it seems – It can be a pretty daunting task if you are not sure where to start. There are few technicalities that you have to deal with such as whether you will go for cheaper host with less bandwidth or deciding to go for VPS or cloud hosting. Some of this can really get you confused. Choosing best hosting provider for your website shouldn’t be that hard especially after you’ve gone through this short guide. 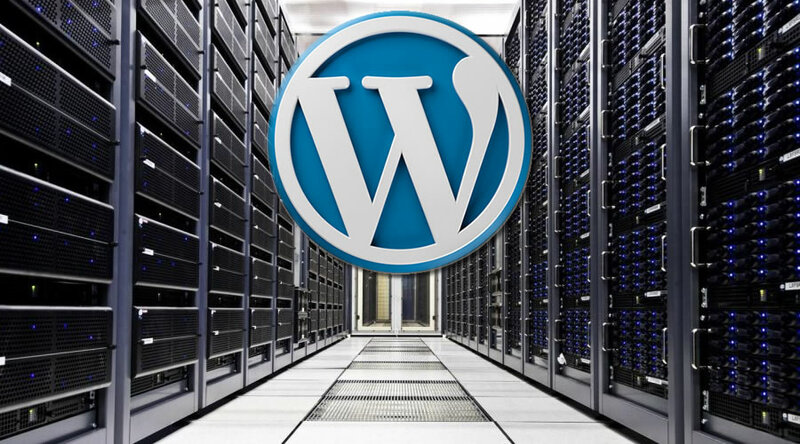 You will learn few things that you need to consider before you get your next WordPress hosting provider. Will your website require Windows application? Do you need a special version of software? What amount of traffic are you expecting? The above are some of the basic questions you need to consider before making your choice as they will affect your hosting needs. If you are a totally newbie and this is your first time of buying WordPress hosting. It will best to start with the good old shared hosting account. You can start small and upgrade later. It is not expected that you will have much traffic in the beginning. Moreover, this kind of hosting is always cheap, easy to maintain and provides enough bandwidths for new sites. You don’t have to worry about what will happen when you site get popular as you can always upgrade to VPS, Cloud or dedicating hosting when you site gets bigger with the same WordPress hosting company or entirely new hosting provider. Nothing is more frustrating than a visitor constantly seeing that your website is down, not only you will lose traffic but you will lose people’s confidence, Google ranking and revenue. You need a WordPress hosting provider that offers 24×7 operating web hosts. Before you make your choice of hosting provider, make sure that the company you choose has powerful server and stable network connections that can guarantee at least 99.5% and above uptime score. Don’t go for a provider with uptime score below 99%. You can easily find out uptime score of any provider by reading hosting reviews or you can track your web host with server monitor tools which you can get as free trial. If you have a well-optimized WordPress blog that receives traffic in the region of 35,000 – 40,000 monthly unique visitors, you will do alright with a shared hosting account. However, if you expecting your website to become more popular and receive increase traffic in coming months or years, then you should consider buying web host that you can easily upgrade. I mean a web host that makes it easy for you to upgrade from something like shared hosting to dedicated or virtual private server in order to get more memory capacity, processing power, disk storage and better security features. No one wants to take forever before mastering the Control Panel of his hosting account. Irrespective of whether it’s a cPanel, Plesk or a third party control panel – it needs to be user-friendly with necessary functions and support. An easy or user-friendly control panel will help you get things done in lesser time and disturb hosting tech support staff less. Buying domain names is cheap – you can get them as low as $2 or $10 which is still cheap. Most people prefer to own more than one domain name. It may not seem necessary when you are starting out but it becomes important as time goes on. This means it is more preferable you get a domain name that gives you extra hosting space to accommodate these extra domains. Buying a basic shared hosting with most companies will allow you to host as much as extra 25 addon domains. Don’t let the sign up cost fool you – Most companies per industry norm will offer you very low price to attract you to sign up with them when you are starting out only to begin charging exorbitant price for renewals later. Unless you are ready to hoop between more than one web hosts every year, there is no way you can escape from paying pricey renewal costs with these kinds of hosts. To avoid unpleasant surprises, ensure you check out TOS and renewal prices of any hosting service you want to take to make sure it is something you can afford and willing to pay before you sign up. The best way to stay safe is to read reviews and compare signup vs. renewal price of different top WordPress hosting providers. What kind of support does your preferred WordPress hosting company offer? You need a company that provides 24/7 live support. With different avenues to provide customer service, a hosting provider with good customer service will have at least more than one support system. Top WordPress Hosting service providers will provide support through live chat, phone, email and through their social media pages. Choosing the best WordPress hosting service provider shouldn’t be hard. The checklist above will help you to go over what you need before making your choice. Remember web hosting is the backbone of your website; it will affect overall performance of your website. Therefore, you need best hosting provider that has all the features that are suitable for your website and business.